Always pass by but never stay in the city - that's what I always seem to be doing in the cat city Twice for Rainforest Music Festival, once on my way to Sri Aman. But on last Easter's weekend, I finally have a chance to actually stay and go around the city. 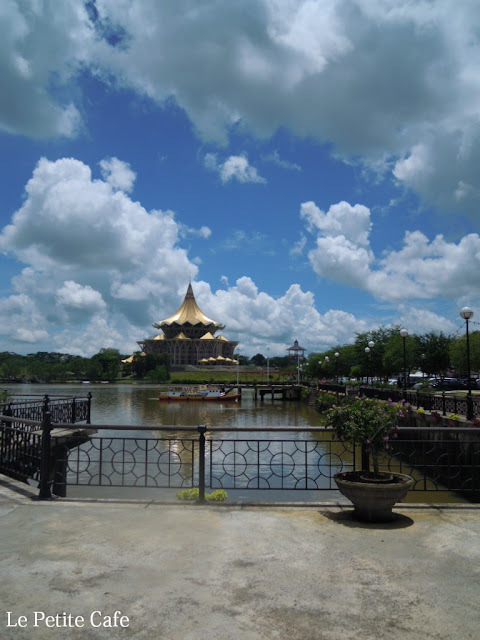 I think I went to quite a lot of places that people in Kuching usually hang out such as The Spring shopping and the club and bars such as Soho, Kilkenny’s and Junk Bar. On the last night, we dine at Magenta, located in the old courthouse. Oh, I even went to the Cat Museum! I have fun and wonderful time. I always do when I'm in the city, whether I was staying for 2 nights or just a few hours. It feels like a second home.